Answer this question: What do you eat for breakfast? We all know the mantra: breakfast is the most important meal of the day. It can help to power your day like starting the day with an full tank of gas versus running on fumes. A new study suggests that it matters not only that you DO eat breakfast but WHAT you eat can impact your mindful and mindless eating habits later in the day. 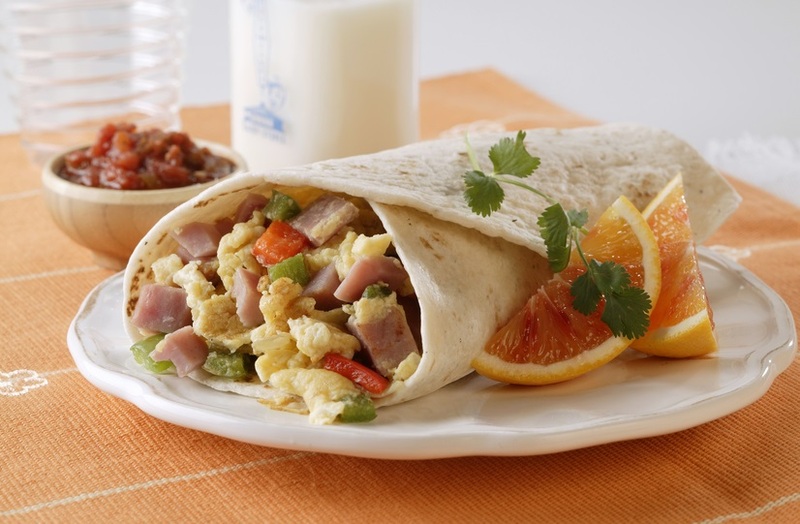 In the journal Obesity, 57 subjects ate either nothing for breakfast or 13 g protein breakfast (cereal and milk) or a 35 g high protein breakfast (either an egg-based pancake and ham, an egg-based waffle and sausage, or a ham and egg burrito). After 12 weeks, the high protein meal prevented fat mass gains whereas the lower protein breakfast did not. High protein led to reductions in what was consumed overall during the rest of the day and reported less hunger than those who skipped breakfast. 1) Does your breakfast give you enough energy to power your day? 2) Does your breakfast help to regulate your appetite? 3) Does your breakfast set the stage for mindful or mindless eating later in the day? AND, are you eating it mindfully—hurriedly eating your breakfast in the car or as you are getting dressed or calmly at your kitchen table? I challenge you today or tomorrow to start your day with a mindful breakfast!